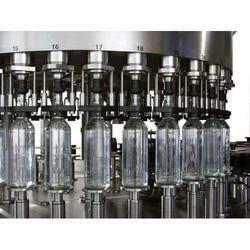 Providing you the best range of glass filling machine, filling line, mineral water filling machine and water bottle filling machine with effective & timely delivery. 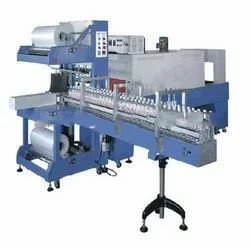 Glass Filling Machine offered can be made available by us in different operating specification choices and finds use in industry sectors engaged in production of mineral water. The system can be integrated with bottle washing and capping systems and features bottleneck clamping & bottle suspending technology that allows for convenient changing of bottle size as per the process requirements. Some of its features include provides for perfect working control support for accurate and precise performance; highly automated working; quality component support for accurate performance; all contact parts made using SUS which is anti-corrosive, and easy to clean; high speed filling valve and others. Filling Line offered can be made available by us in different operating configuration options to choose from so as to provide for accurate functioning support and precise working performance. Further, the use of latest process technology also makes these provide for consistent working. Some of its features include applied in process involving production of mineral water; can be integrated into bottle washing and capping system support; convenient to change bottle through advanced bottle conveying technology; compact structure finish and automated working performance. 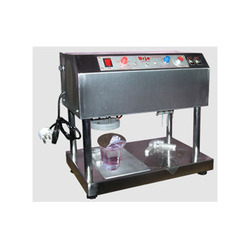 In order to cater to the variegated requirements of the customers, we have been able to bring forth a highly efficient range of Mineral Water Filling Machine. Developed in accordance with the global quality standards, the range is incorporated with varied spare parts & quality components for improved efficiency. Manufactured under the strict watch of expert professionals, the range strictly complies to the international quality norms & standards. 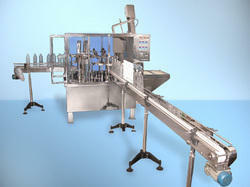 Looking for Filling Machine ?